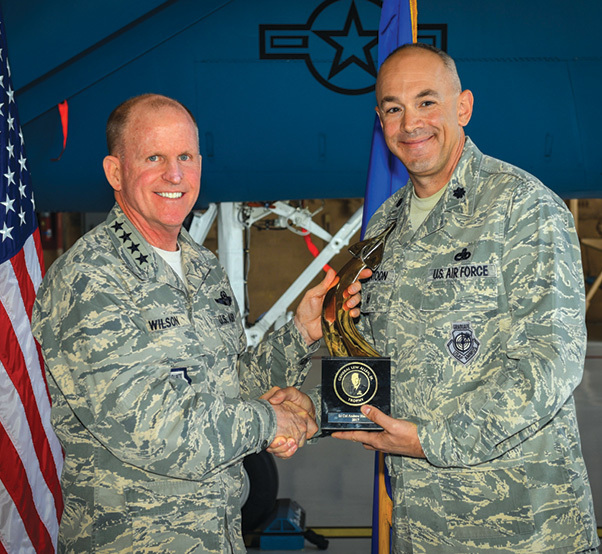 Air Force Vice Chief of Staff Gen. Stephen W. Wilson presents the Gen. Lew Allen Jr. Award to Lt. Col. Andrew Huntoon, 57th Maintenance Group deputy commander, at Nellis Air Force Base, Nev., May 2, 2018. 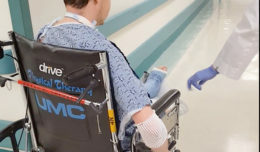 Huntoon was one of four recipients for 2017. Lt. Col. Andrew Huntoon, 57th Maintenance Group deputy commander at Nellis Air Force Base Nev., received the Gen. Lew Allen Jr. Trophy from Air Force Vice Chief of Staff Gen. Stephen W. Wilson during a ceremony held May 2 at Nellis. “It’s really an honor to be here to represent an award that’s given to the best of the best in our Air Force and I know if Gen. Lew Allen was standing right here with us he’d be extremely proud of you and your team,” said Wilson. Huntoon is one of four recipients Air Force wide to receive this award this year. He said he is very appreciative of his team and the 57th MXG. The Gen. Lew Allen Award sits in front of an F-15 Eagle fighter jet during a ceremony at Nellis Air Force Base, Nev., May 2, 2018. The award recognizes the outstanding performances of Air Force personnel involved in aircraft sortie generation and mission execution. “This is a Team Nellis award that would not have been possible without the dedication and hard work from every Team Nellis Airman, especially the Airmen and contractors assigned to the 57th MXG,” said Huntoon. Lt. Col. Huntoon was selected for the honor in recognition of his outstanding leadership and contributions to mission execution while assigned as deputy commander of the 57th MXG. 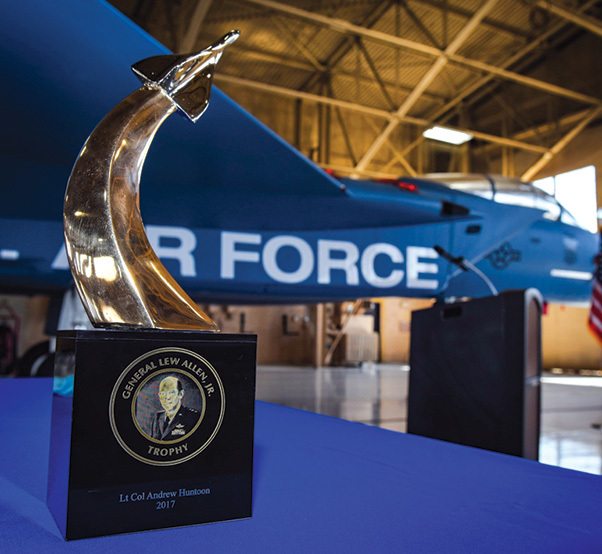 The annual Air Force level award, named after the 10th Chief of Staff of the Air Force, recognizes the outstanding performances of Air Force officers and enlisted personnel involved in aircraft, munitions or missile maintenance who are directly involved aircraft sortie generation and mission execution. 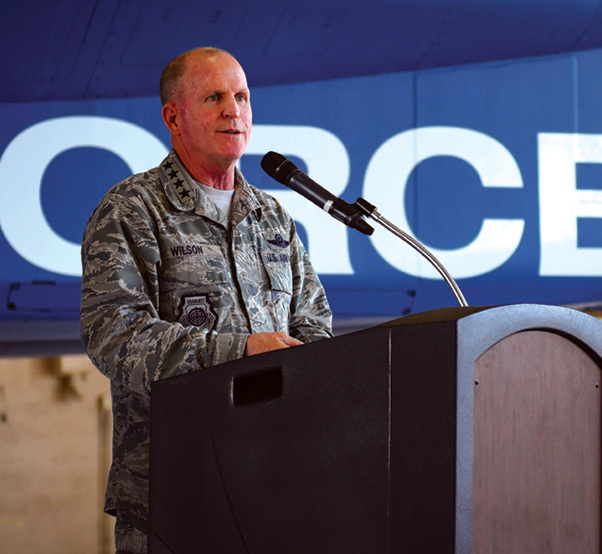 Air Force Vice Chief of Staff Gen. Stephen W. Wilson speaks during the Gen. Lew Allen Jr. Award ceremony at Nellis Air Force Base, Nev., May 2, 2018. The award was named after the 10th Chief of Staff of the Air Force.